A series of calculus lectures and solutions. 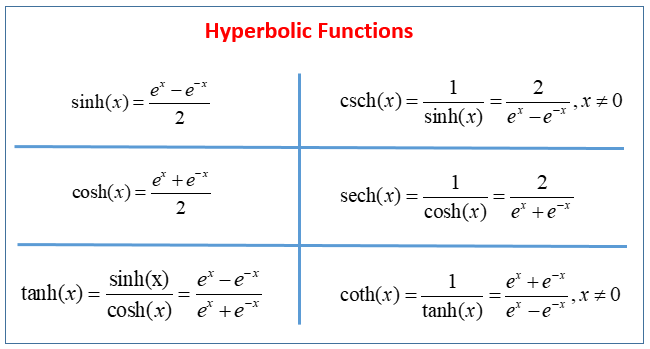 The following table gives the Hyperbolic Functions: sinh, csch, cosh, sech, tanh, coth. Scroll down the page for more examples and solutions. Learn how to use hyperbolic identities to simplify a hyperbolic function.